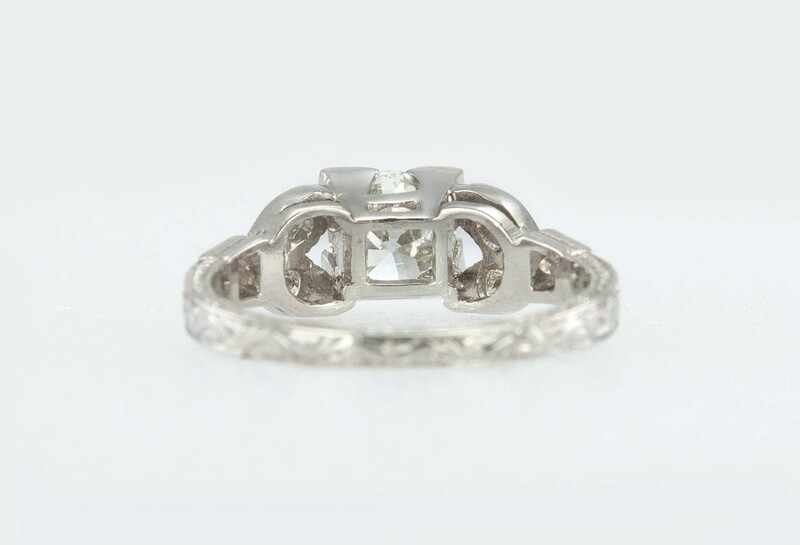 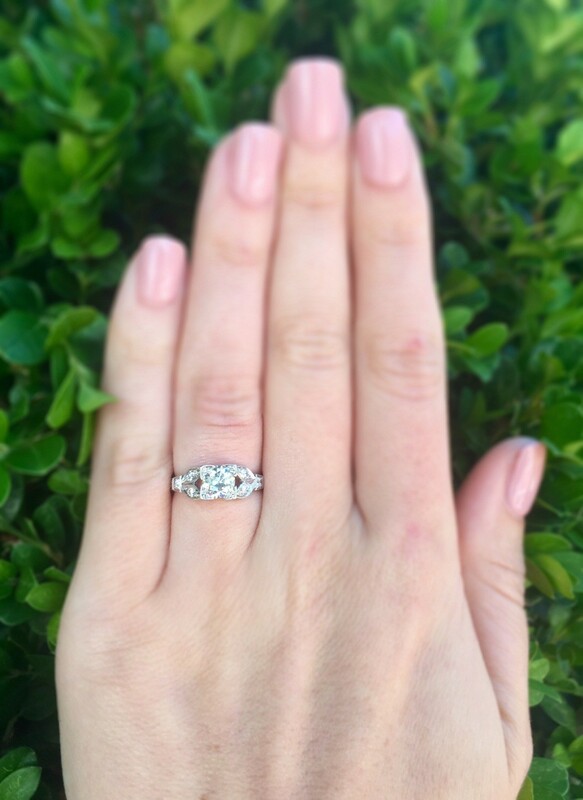 A lovely platinum engagement ring with a 0.79 carat Old European Cut diamond in the center that is H in color and SI1 in clarity (EGL certificate) bead set in a square mounting. 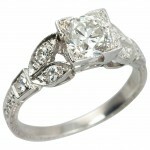 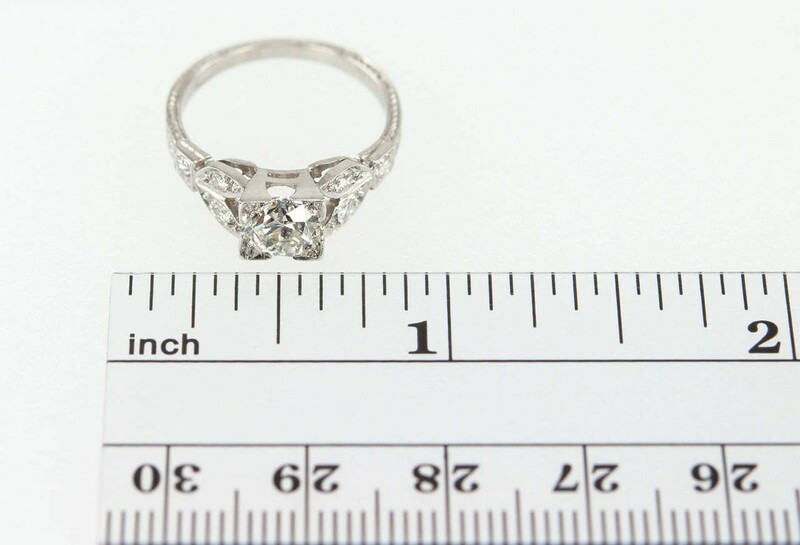 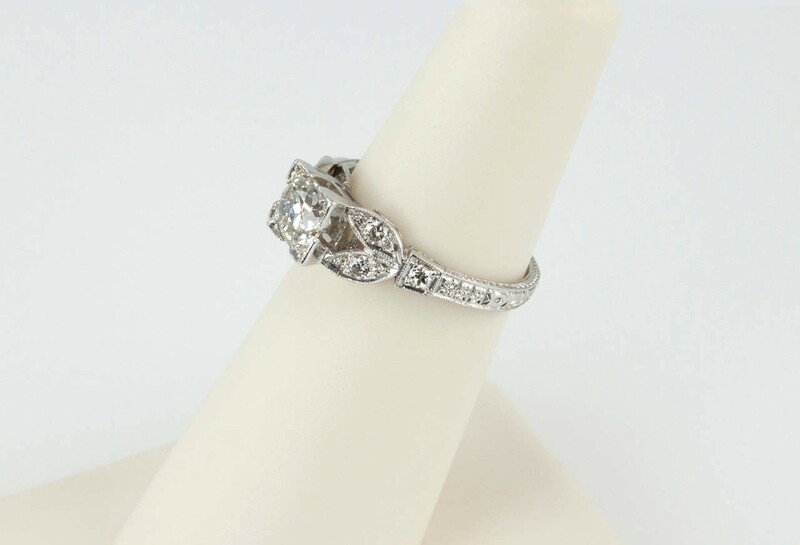 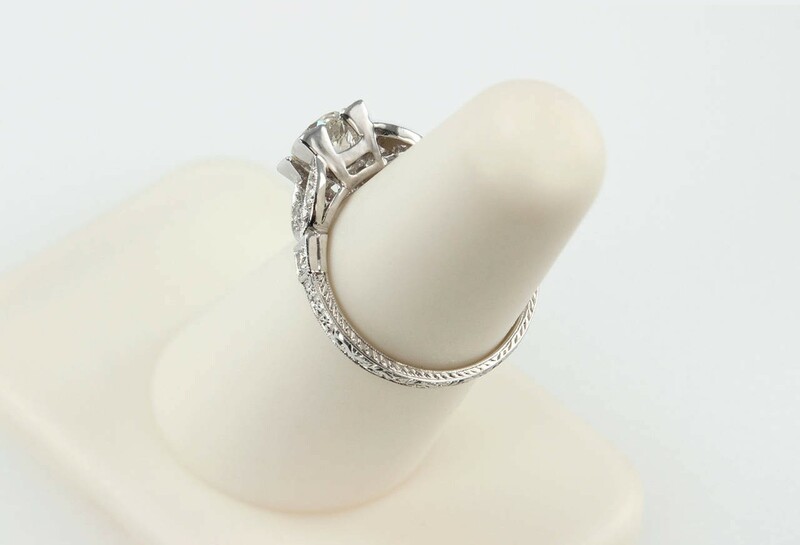 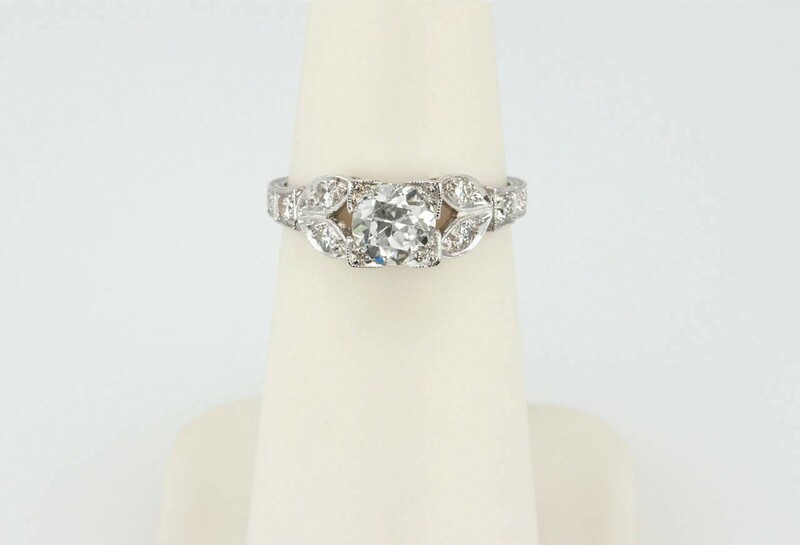 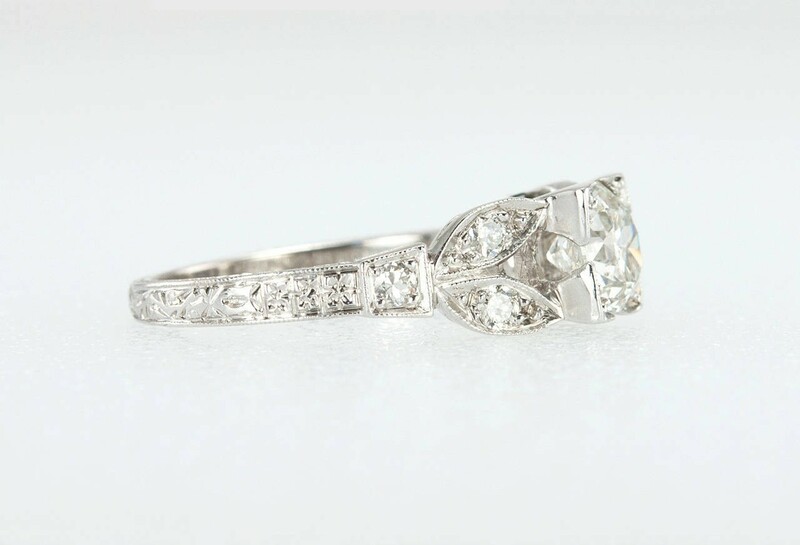 There is a floral motif split shank mounting with 3 round diamonds on each side and engraving around the entire shank. 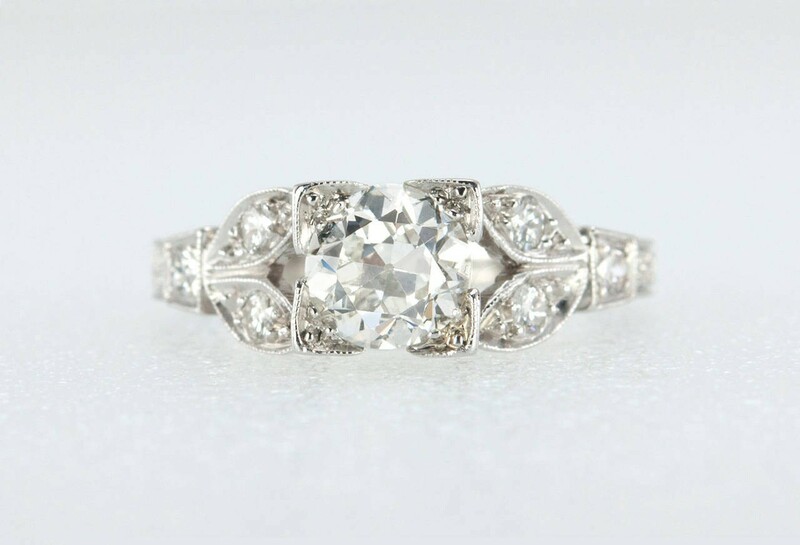 Circa 1910s-1920s.